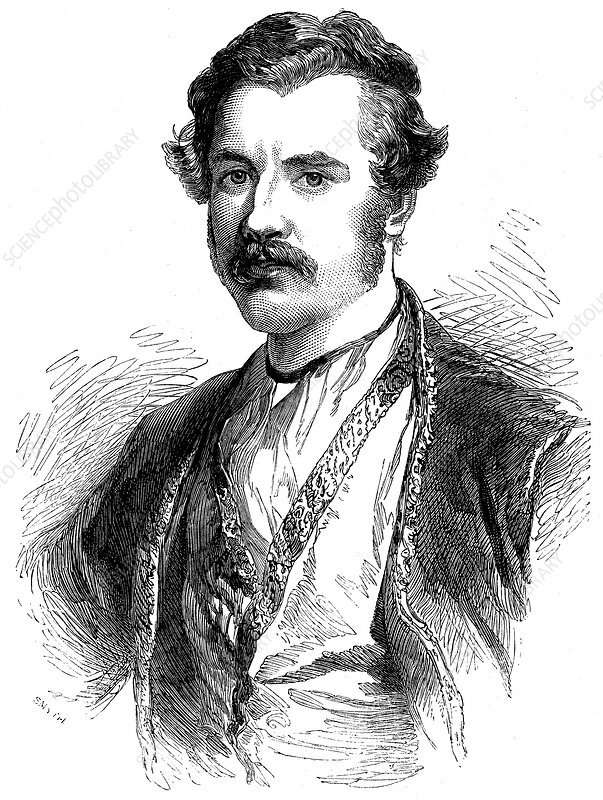 Austen Henry Layard (1817-1894), British archaeologist, politician and diplomat, 1851. Excavated Nimrud/Nineveh, Iraq. Wood engraving.